The SCRIPT tag instructs the browser that HTML document uses the script. The type attribute specifies the type of the scripting used. The src attribute specifies the name of the jQuery library used. If the jQuery library stored in the same location as the HTML document , only the name of the library can be given. 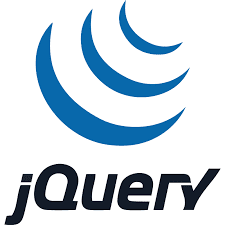 However, if the jQuery library and the HTML document are stored at differemt locations you hva to specify the complete path of the Jquery library. The execution of jQuery code should occur only after the Web page should be fully loaded. To ensure that the Web page is fully loaded before the jQuery code is fully executed on it, jQuery provided the document.ready() function. In the preceding syntax, the dollar sign($) represents start of the jQuery code block and jQuery code is the code to be implemented for the rendering of the HTML elements in the browser window. The document.ready() function is useful for preventing failure of actions that should be proformed on an HTML element. As jQuery is used to manipulate HTMl elements, the element should be selected first in order to implement the jQuery code on them. In the preceding syntax, selector is the element to be manipulated and actions represent action to be taken on the selected element, jQuery provides many built-in actions that can be applied to the HTML elements, such as hide, fadeout , slideup. Note: jQuery is written in the <HEAD> section of the document. In the preceding code all the <h1> element will be hidden in the Web page.